TOKYO, March 9, 2015 — Ricoh today announced that it has successfully returned almost 90,000 photos through its “Save the Memory Project”, which it has been carrying out as part of its reconstruction support activities after the Great East Japan Earthquake and Tsunami since August 2011, with the aim of returning photos lost and damaged in the tsunami to their owners. Project involves collecting precious photos found in the disaster-affected area and cleaning them, with the help of local government and countless volunteers, and then using MFPs to digitize and store photos on the cloud so that people can search easily. Searches can be carried out on computers at local government photo centers. Once someone has found a photo, the original and all associated data is returned to them via the relevant local government. In total, there are over 400,000 digitized photos on file. 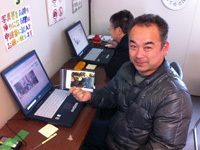 In the four years since the earthquake and accompanying tsunami, almost 90,000 of these photos have been returned to their owners through photo centers in five locations. The driving force behind returning photos has been the determination of people affected by the earthquake and tsunami to retrieve valuable properties, irreplaceable photos, to their owners. 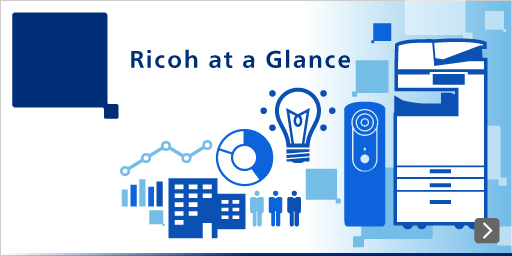 Through these activities, Ricoh has built up considerable expertise in terms of using its resources, organizational capabilities, technology and facilities, to make a difference in collaboration with local government. In an ideal world, there would be no need to use this expertise again, in the wake of a similar disaster. In the event that such a disaster does occur however, Ricoh is keen to share its expertise as widely as possible in order to be of assistance. With this concept, procedure of returning photos and notes by staffs involved in the project will be made available to the public on website from March 9. Needless to say, Ricoh is happy if this information is used for other purposes too, not just in the event of a disaster. Employees are taking part in activities, including cleaning and digitizing photos, in between their work hours, making the most of specialist fields at each company and open spaces in offices. Ricoh continues to carry out recovery support in the disaster-affected area on other fronts too. Activities include providing support for hands-on programs at elementary schools and events in Higashi Matsushima via the Ricoh Science Caravan “Try to be a copier machine!”; helping to rebuild the fishing industry in Minamisanriku (Miyagi prefecture) by getting around 200 new employees involved every year as part of their training; organizing events showcasing produce from the Tohoku region at group company offices; taking part in the Japan Association of Corporate Executives’ “IPPO IPPO NIPPON” project; and making ongoing donations via Ricoh’s Social Contribution Club “FreeWill,” an employee-led endeavor. The Ricoh Group will keep thinking about ways in which it can help, as it continues to make a broad contribution to the development of a more sustainable society, in the hope of rebuilding and reconstructing industry in the disaster-affected area. The Story of the "Save the Memory Project"